This Agreement was last modified on Oct 10, 2017. All the templates we create and sell are at an extremely fair price. The templates are guaranteed to work with eBay. We provide all documents with templates and support services. If you have any questions, you can contact our support team for help. We answer every email within a 24 hour period (usually sooner). If you have not received a reply from us within 24 hours, please check your Spam/Junk folder. We do template colour modifications once on customer requirements any other modifications are chargeable depend on requests made. We are always suggest to our customers to contact us before you purchase our template if you don't know exactly how its works. We have provided all relevant information on our website and updates. 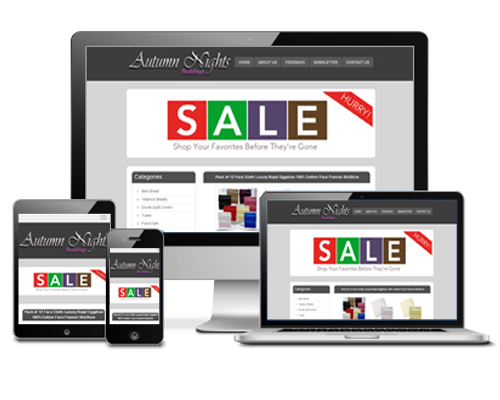 Please note our Listing template, Shop Template, HTML Template wizard and Categories updater are sold/subscribe separately. All Template purchased are per-owner usage license. If you own the company and the owner a webstore, you may share the license across all the stores. If you are a web design company that is doing work for another person's website, you MUST purchase separate license for each client. All templates may not be resold or redistributed by any 3rd party seller. I retain all rights to our code. All on demand custom Template are coded by eBaytemplateshop.com and are sold as mutual agreement between eBaytemplateshop.com and clients either through email communication or term and condition applied as stated on web site. The Template created would also be sold on eBaytemplateshop.com store to other's potential customer but the price would be different. If client preferred to buy off the module, clients are required to pay an extra amount. Due to nature of the product, we do not provide any refund / exchange for the code purchased. Please read the product description carefully before make any purchased.Furthermore there is no refunds on specific modifications that are requested by customers. ASK if you have any doubts. Template Wizard - Cancellation of subscription for the Wizard is subject to charges. we will require 28 days notice to cancel the subscription. Subscription fees are not refundable. Please review the demo before making a purchase. Any changes by eBay in future: We are not responsible if eBay change any policy in future regarding template code use or restriction. We unable to provide any refund for purchased code. Custom eBay templates are accepted as a project. Payment is required prior to work being started. Daily updates are provided to customers. NOTE that there is no refund if the project is cancelled during the production process. Please clarify all details and ideas before making any payment. All provided Image gallery / Menu switching box code and CSS (e.g.bootstrap) are from third party websites which advertised under MIT License and free. WE ARE NOT CHARGING ANY PRICE FOR THOSE CODE. We are only charging price for template design and time to make the template.